Brothers Nickolas and Dimitris Vavalos from Greece have a uniquely psychedelic, progressive-chill sound. 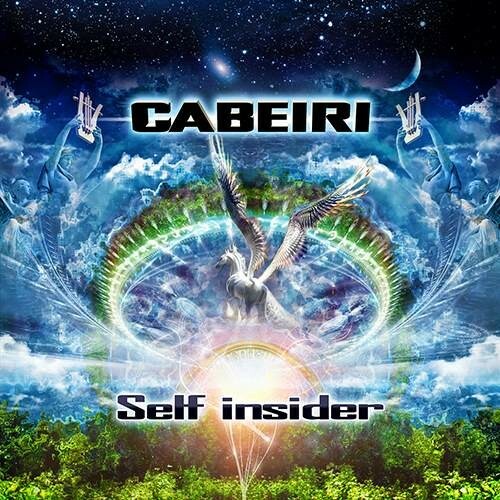 Cabeiri returns today 3 years after their first album "Inner Thoughts" was released on Altar Records. The brothers duo dedicates to a light, deep, relaxing, ambient laced melody that soundscapes strong dark down tempo grooves. "Self Insider" is a lifting uptempo album. Forward and intense with the mid-range bpm here being around 125. Like an extension of "Inner Thoughts," those who knew it will find their latest album follows the perfect continuing story of deep dark vibes with heavenly moods. Their one-of-a-kind twilight progressive-chill album is intent on giving a 'high' onto the dancefloor as the daylight unfolds. Produced in 24bit quality. So its release will sound as good in the headphones as it does on the dance floor. With "Self Insider" you'll dive into Greek mythology, find ten previously unreleased full-length tracks of mystic vibes which is perfectly suited for the nightime DJ or uplifted into a twilight trance set. It's deep, it's mystic, it's psychedelic! Enjoy!